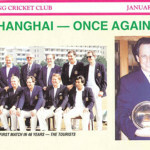 SCC President Paul Malpass announced today that the 2016 Bokhara Bell Memorial Interport Match between Shanghai CC and Hong Kong CC will take place on December 10 and 11 at the Hong Kong Cricket Club. Calling all Pirates! 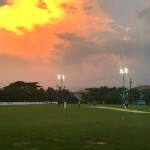 The Shanghai Cricket Club is seeking all interested parties for an upcoming tour of the Philippines to plunder more treasure at the 2015 Philippines International Sixes from November 14-15. 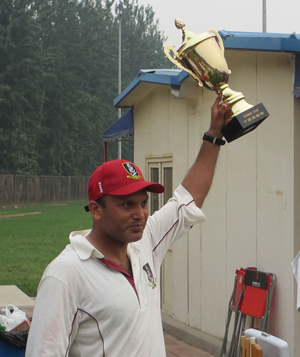 The Hong Kong Cricket Club will tour Shanghai September 4-6 to play the Shanghai Cricket Club for the Bokhara Bell Memorial Trophy. Shanghai and Hong Kong first played each other in 1866 in Hong Kong, and since then, have met 46 times. HKCC will arrive on Friday night with welcome drinks to be held at the Hit Wicket sports bar from 9:00 pm onwards. On Saturday, SCC and HKCC will play the 50 over Bokhara Bell Interport Match at Wellington College Cricket Ground, followed by reception dinner and presentation at Hit Wicket. 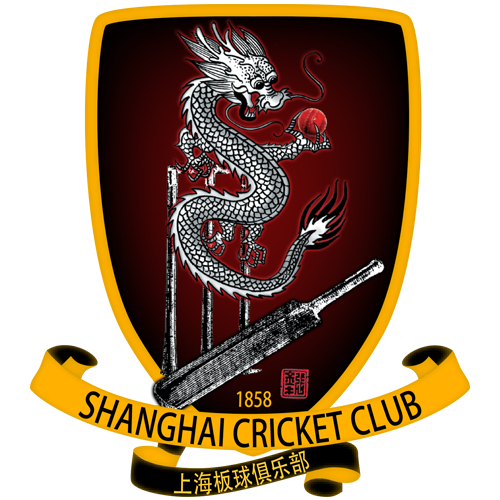 The Shanghai Cricket Club departs on Friday, August 21 for an Interpret series with Kowloon Cricket Club in Hong Kong. 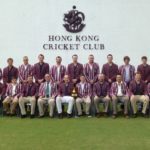 The SCC Dragons will play a 35 over friendly on Saturday at the Kowloon Cricket Club, followed by a 50 over Interport Series match on Sunday at the club. 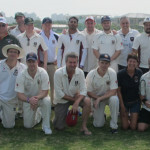 The touring party consists of Club Captain Dayne Wotton, skipper Paul Malpass, Sanjay Anugula, Danny Hooper, Amogh Kashyap, James Keel, Nitin Khansaili, Sid Sinha, Peter Todorov, Alex Todorov, and Kevin Wright. 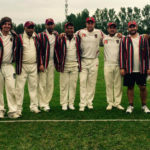 The two clubs last played each other in 2013 when Kowloon CC visited Shanghai. 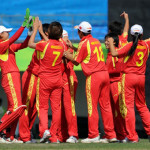 Shanghai (184/6) defeated Kowloon (182/6) in the 50-over Interport match by 4 wickets. The 2015 China Cup clash began with a win for Shanghai, Skipper Waqar Khattak calling the toss correctly and electing to bat. Good signs for a good day of cricket, with the weather markedly improved from the previous days arrival under cloudy skies. With luck seemingly going Shanghai’s way, this was the day to take back the china cup. Shanghai Cricket Club Captain Dayne Wotton announced a 12 man squad for the upcoming China Cup match with Beijing Cricket Club in Beijing on June 7. Team skipper Waqar Khattak will lead the squad, with Paul Malpass his lieutenant. Also included are Jonti Leibowitz, fresh from his historic batting performance, Jon Newton, John Swain, Deepak Nautiyal, Kevin Wright, Sajid Anwar, Dayne Wotton, and debutants Wayne Voogt, Alex Todorov and Guru Kalyan. The 50 over match will be the 10th time Shanghai and Beijing have played for the cup; Beijing holds both the advantage in victories at 6-3 as well as the cup, having won it in 2014 in Shanghai. The MCC Women are touring China with Mike Gatting and will be playing the China Women National Team at Wellington College Cricket Ground on October 17-18. The SCC has been helping organize the tour and will be on hand to offer assistance over the weekend. For more information on the tour, please contact SCC Tours Director John L’Epagniol.